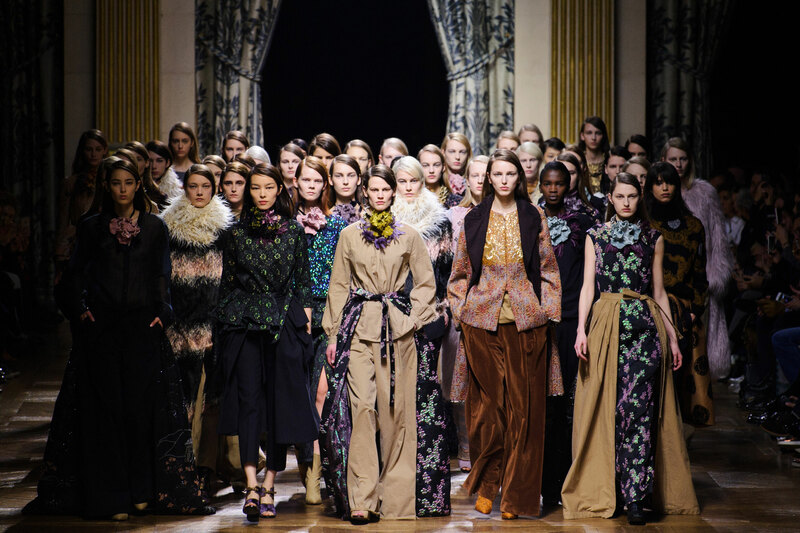 So, what should we take away from the 2015-2016 Fall-Winter haute couture collections? Behind all the glitz and the glamour, fashion drew on its heritage, but this time turned sources of inspiration on its head to create a fountain of youth brimming with modernity. Immeasurable excess... a good way to sum up these Fashion Weeks, which culminated in a frenzy of grandeur and decadence. Now that ship has sailed; Chanel has packed up its Casino, Armani its Disco Party. The show is over. What is left behind is a feeling that the designers really freed themselves from all the trappings, showing us their creations in their purest form. For some, it was a return to their roots (Valentino, Gaultier, Schiaparelli), for others, an arty encounter (Maison Margiela) or an aesthetic borrowed from the original Flemish masters (Dior). The result of this creative freedom was a quasi-cultural arrangement uniting artistry with modernity. But what about the shoes? Vogue provides us with a multi-style ranking of the trends: "Eighties accents, seventies continuity, bursts of punk, echoes of the military, galactic influences and graphic minimalism... ". Pick your style for winter and if the shoe fits, wear it!